Need a courier right now? Do you wish to book a courier without an account? Deadline is not just a courier company! 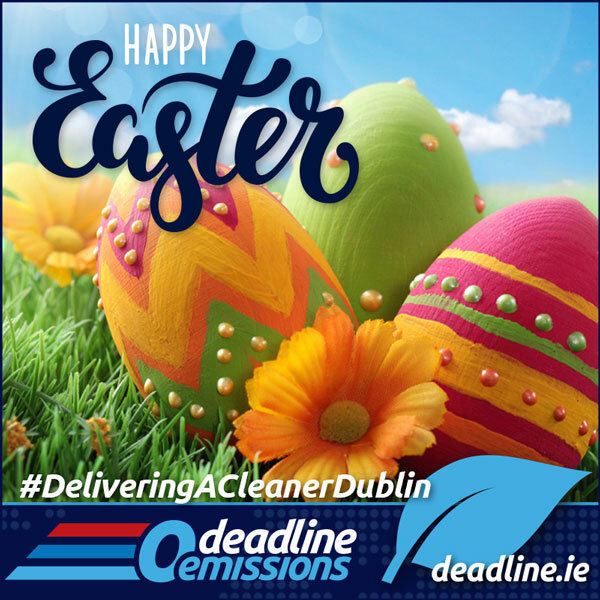 Serving Dublin, Ireland Nationwide, UK, USA, Europe and other International Parcel Deliveries. 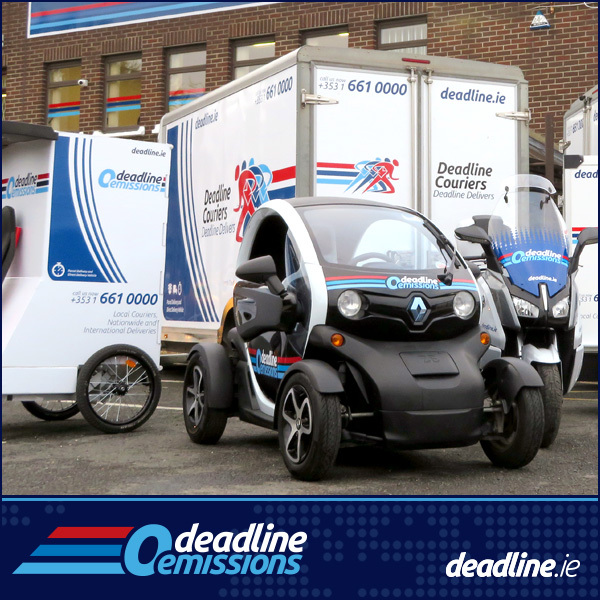 Deadline Couriers offers a comprehensive secure and confidential courier, transport and parcel delivery service in Dublin, Ireland Nationwide and Worldwide International. Door to door, next day, urgent and direct services, scheduled services and a number of online and mobile app booking solutions for general couriers and specialised online retail returns. Reliable Motorcycle, Van and Truck couriers in Dublin and a fast, secure and efficient Urgent Direct Delivery Service… also Nationwide. 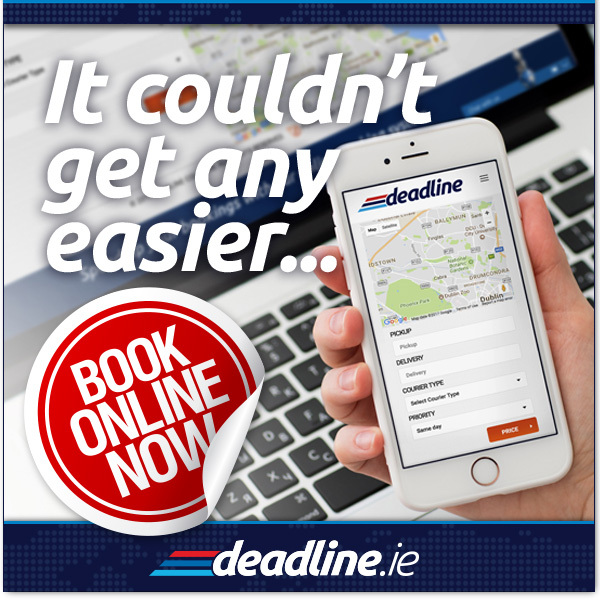 Account holders… you can continue to speed up your bookings with our account online booking system! We are 100% Customer Satisfaction driven, if you are happy, we are happy! Please let us know how we can serve you better. Deadline Couriers are fast, efficient and utterly professional. The online system is brilliant. It’s great to have such a dependable service. To date, my experience using Deadline Couriers has been fantastic, the on-line booking system and automatic status updates saves chasing up on every consignment. Giving my deliveries to Deadline has been as good as doing it myself. Keep up the good work. We used Deadline services for the first time today and have to say how thankful we are, we were really stuck and on a very tight deadline and your team got a bike to us and the driver was so helpful. Please pass on our thanks and apologies that it was so last minute, but sometimes this is how it will be for our type of work. Can you pass on a big thank you to the guy who delivered the package on a bike to Iarnród Ēireann in Inchicore before 12 noon today. We are extremely grateful for the efforts he went to in order to get it into Irish Rail by 12. Also a big thank you to the person who dispatched the courier out to us so quickly. Thanks again! Michelle, Secretary, Arup & Partners Ireland Ltd. I use Deadline Couriers, they’re great, nice staff in the office, and the couriers are great lads, very obliging!! Conor Hickey, MD, Liebherr Fridges Irl. Deadline Couriers are prompt, courteous, dependable and professional. Their on-line system is easy to use to get quotes, track our parcel and see proof of delivery. We have no hesitation in recommending Deadline Couriers. Donal M. Gahan, Ritchie & Co.
Webmaster2017-12-08T08:40:01+00:00December 8th, 2017|Comments Off on Have you got our new App?